Not one of My promises will ever fail you. “Behold, today I am going the way of all the earth. You know in all your hearts and in all your souls that not one thing has failed of all the good things which Yahweh your God spoke concerning you. All have happened to you. Not one thing has failed of it. I would encourage you to read the entire chapter of Joshua 23 when you get a chance. This is Joshua's last chance to share his heart with the people of Israel before he dies. In this final address to them, he reminds the Israelites of God's faithfulness as he encourages them to stay true to God. There is a saying that hindsight is 20/20 vision. What this means is when we look in the past, we can see clearly what has taken place. There is no need for guessing when we look backwards. As Joshua was exhorting the people of Israel about moving ahead, he encouraged them to remember God's faithfulness in their past. He reminded them about how God delivered them and fulfilled every promise He had made. The encouragement of God's faithfulness in our past should give us the courage to believe that He will continue to be faithful in our present circumstances and well into the future. 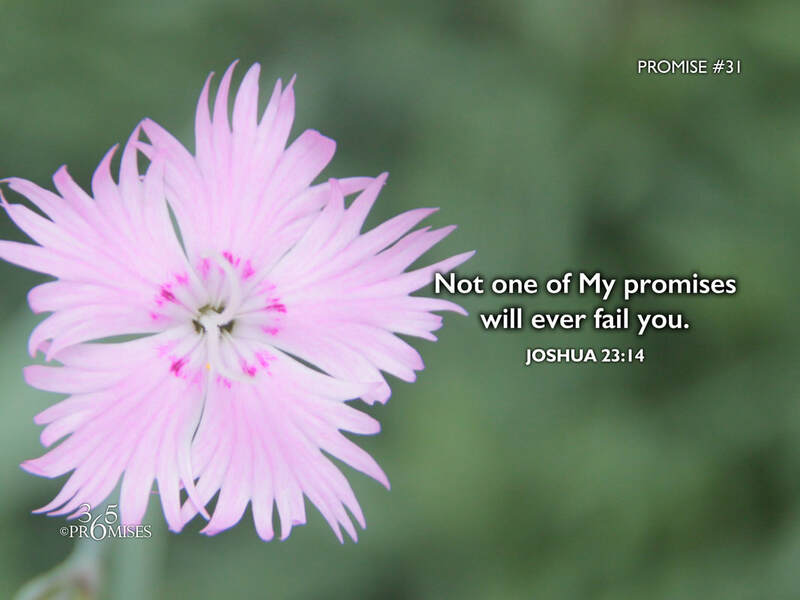 May we all hold fast to the truth that every one of the promises that God has made to us will never ever fail.